The African plains are filled with weird and wonderful creatures. One such creature you can see stalking through the tall grass is the Cheetah. The cheetah can be found in Africa, central Asia and even in some parts of Iran. Cheetahs can be distinguished from other big cats by their smaller build, spotted coats, small heads and the “tear stripes” that stretch from the corner of the eye to the nose. The cheetah is the fastest animal on land. Its small, streamlined head, long muscular tail and increased lung capacity allows the cheetah to reach speeds of 110km per hour. Cheetahs are essentially sprinters and can therefore only maintain high speeds for 300 – 400 metres. The cheetah population has decreased considerably over the last 100 years due to poaching and loss of habitat. They have therefore been identified as an endangered species. As a protected species, people are only allowed to remove cheetahs if they pose a threat to live stock or human life. There are many conservation efforts that are actively working towards saving this species from extinction. The cheetah’s speed enables it to only chase its prey for an average of 20 seconds, and for a maximum of one minute. With its strong hind legs, flexible shoulders and spine the cheetah can reach an impressive four strides per second. During the chase the cheetah will trip its prey before delivering a fatal bite to the neck. The cheetah has a unique social system to any of the other big cats. Male cheetahs are social and usually live together for life, while the females are more solitary. Cubs live and hunt with the female until they are old enough to be on their own. The litter will stay in take with only the females wondering off on their own. Something else that sets the cheetah apart from other big cats is its purr. Unlike their counterparts, cheetahs cannot roar. They do however have the ability to purr like domestic cats when they are content. The cheetah is a fascinating creature. We are fortunate to have the chance to see it in all its beauty. Many rehabilitation centres have been set up across Africa to help counter the threat of extinction. 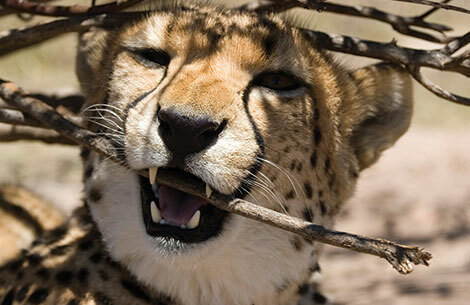 When you find yourself in Africa, take time out to visit a cheetah rehabilitation centre. Some centres allow visitors to have close encounters and even walks on the beach with a cheetah. The Emdoneni Safari offers you a once in a lifetime opportunity to interact and get close with a number of endangered cats. Enjoy the thrilling experience of playing in the grass with a cheetah and try the delicious meals on offer at the onsite restaurant. 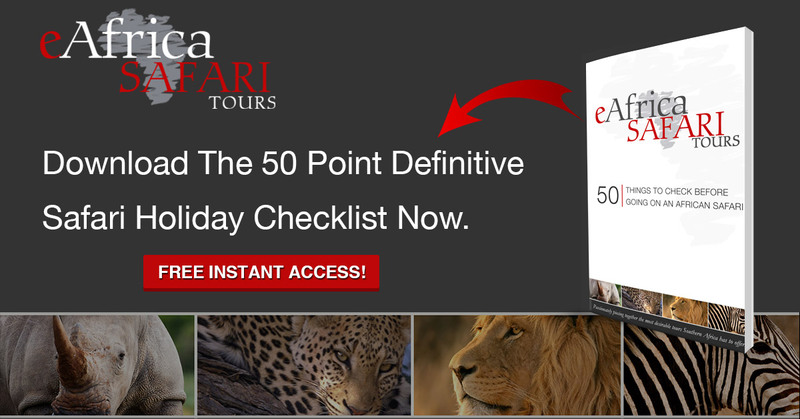 Speak to one of our consultants today to book the day tour of a life time.